Nobody does a party quite like Nashville does. Come on down to the capital of Tennessee for a St. Patrick’s Day bash that’s sure to keep you glowing for years to come. Why waste your time at one boring bar when you can hit a whole radius of them in one fun sweep? Join the annual St. Paddy’s Luck of the Irish Pub Crawl for a bar hopping extravaganza with all the trappings of a Tennessee floor-shaker. You don’t want to miss out on the extra long list of downright awesome bars we’ve got available this year. The Music City is putting on a hell of a celebration to honor the patron Saint of Ireland. Get on your green garb and get down to Nashville to join in the St Paddy’s festivities. The hottest honky tonks will be anxiously awaiting your arrival. This metropolis is chock full of microbreweries and live music venues. Music lovers, you’re sure to find a great spot to party on Honky Tonk Row. 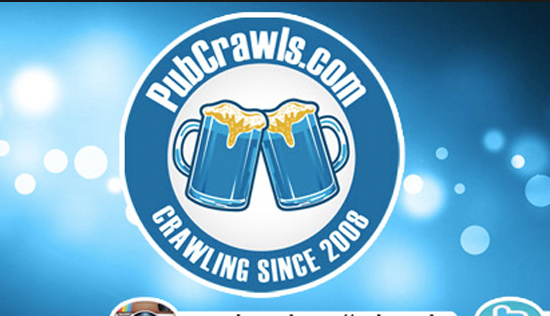 Before you get your drink on, stop into the registration venue to meet the friendly PubCrawls.com event staff and pick up a list of participating locations/full map, as well as a list of drink specials that are sure to start your night off on the right foot. Take in the full beauty of the capital of Tennessee as you marvel at the sheer variety of lively watering holes available for your patronage. The general high-spirited vibe wafting through this city will excite your inner leprechaun. Check out the gold at the end of this rainbow. 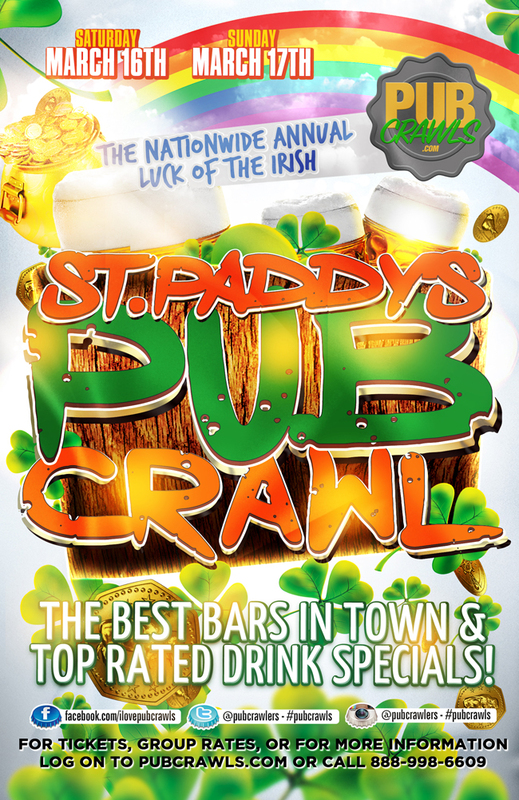 Get your tickets today for Nashvilles hottest St Paddys pub crawl event. You’ll want to get in on this southern treat early. Ticket prices will increase as the date gets closer to the event. Participating venues include Winners Bar & Grill, Whiskey Rhythm Saloon, The Slider House, DawgHouse Saloon, and more to be announced!